Back in June 2014, the Swiss parliament passed a law which changed the number of years of residence required to qualify for Swiss citizenship, the type of residence permit you must have before applying, and the age band within which one year of residence counts as two. The new law only allows those on permanent residency permits, known as C permits, to apply. The new rules are not yet in force but they soon will be. In an RTS interview, Bernard Gut, director of Geneva’s population and migration office (OCPM), encourages those without C permits, who have met the current 12-year residency requirement but don’t have a C permit, to apply before the new rules come into force. Geneva state councillor, Pierre Maudet, explains in the same interview that becoming a Swiss citizen is an important element of integration, probably the most important. People working for international organisations in Geneva, who are more likely to have B, L and F permits, will be hit disproportionately by the changes. 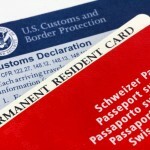 Holders of these permits will no longer be able to apply for citizenship under the new rules, regardless of how long they have been in Switzerland. Soon, their only hope will be to obtain a C permit, something Bernard Gut describes as extremely complicated. According to the Mr Gut, the new rules will be applied from 1 January 2017 in Geneva. On 6 April 2016, Vaud’s website said they expect the new rules to come into force in February 2017. The Geneva weekly newspaper GHI, interviewed one Geneva resident who is outraged by the changes. “I am disgusted. I really thought I was going to be able to become Swiss. This new law is unfair!” The Columbian national, who has lived in Geneva for 11 years and works for a UN agency, planned to apply in 2017. With less than 12 years residency he cannot apply this year, and under the new rules he won’t have the right permit to apply next year. 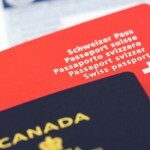 In January and February 2016, increasing numbers of Swiss citizenship applications were made. Official statistics show particularly dramatic year-on-year monthly increases for January in Geneva (+69%) and Vaud (+55%). The same year-on-year figures for February for Geneva (+113%) and Vaud (+90%) were even higher. The actual numbers however are quite modest. 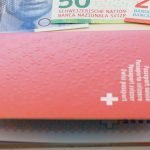 In February 2016, 570 people became Swiss in Vaud and 283 did in Geneva. Towns in the canton of Zurich were overwhelmed with citizenship applications in the early weeks of 2016. Some like Uster saw applications increase 5-fold. Early 2016 saw a 40% increase in applications in Zurich according to Le Matin. For wannabe Swiss with C permits, the new rules carry good news. When the new law comes into force the national 12-year residence requirement will be reduced 10 years. For those with different permits the news is all bad.